We help managers create a quality written content system. The effectiveness of an organization and its content cannot be separated. The knowledge economy, continuous learning, employee motivation, and talent retention are challenges that we hear about regularly. Writing can be one chore that bogs employees down. For some it is tedious or challenging. For many, writing is time consuming. Beyond these, time writing also takes the employee away from what they really want to be doing. Efficient writing – a key element! Creating an efficient quality system for written content can prove to be a daunting task for many companies. Yet it is key to many of their challenges. The success of your team relies as much on a high interest in operational efficiencies as the team atmosphere at work. This is a specific integrative management style that is highly successful. Our expertise allows us to lead the mandate toward improved written content. We have management and training expertise in both administrative and operational environments. We use the integrative management style mentioned above to ensure greater success. The table below describes the transformation process of your organization. Your documents (directives, reports, emails etc.) are easy to read and understand. Writing is more visual, precise and uses fewer words. We exercise a quality control of your documents during the first weeks. Precision and simplifying your communications. The information is more accurate and accessible. Employees and clients understand, are more involved and make the right decisions. You are reaching decisions in less time. We attend key meetings. 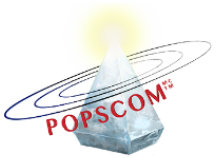 We advise on the implementation and integration of the Popscom methodology according to your objectives. Improving management and the conduct of your business processes. You now have more time to innovate and manage. You produce more at a lower cost. You can better focus your organization. Optimization options are suggested. Resource optimization. Your organization is more efficient. Your results are recognized among the best in your industry! Our goal to revitalize your organization is achieved. Recognition. valorize the contribution of people. Our pricing can vary depending on the scope of the mandate. Based on mandates that we have already completed, you should expect to budget at least $870. You want to increase your content effectiveness and revitalize your organization? Contact us to discuss your specific project.